This deterioration limits your wiper blades from doing their job, to maintain windshield visibility and keep your windshield clean and streak-free. 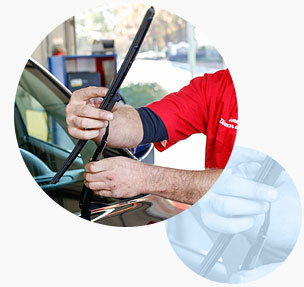 You should visually inspect the condition of your wiper blades often by checking the condition of the rubber as it contacts the window, looking for wear, cracking, or brittleness. You should also turn your wipers on and apply washer fluid to inspect the blades. If your blades need replacing, rather than removing the washer fluid from your windshield, the wiper blades will spread the washer fluid across the windshield.